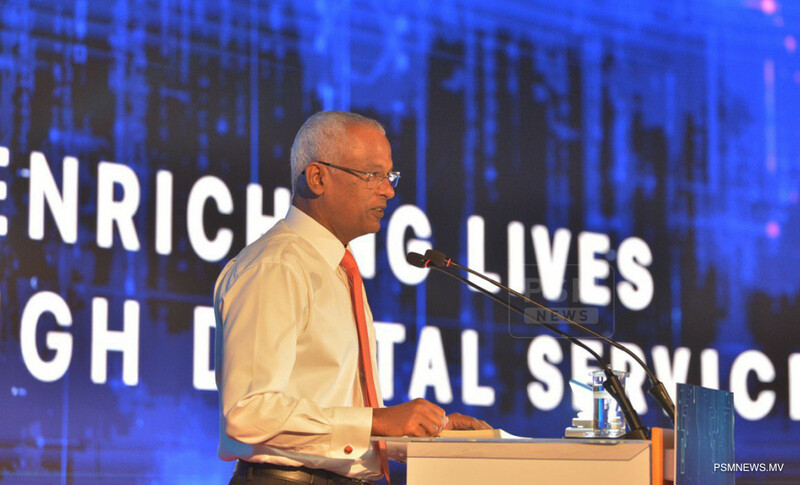 President Ibrahim Mohamed Solih has stated the government aims to ensure countrywide access to digital technology and convenience. The president attended as the chief guest for the ceremony held by Dhiraagu to mark the milestone of the company achieving a distribution of high-speed fibre internet connectivity to 75% of households nationwide. Commending on this milestone, President Solih noted the level of connectivity the digital age affords, adding it is essential all citizens have access to the benefits and conveniences of modern communications technologies. Further, the president underlined Maldives have demonstrated the potential to match other developing countries making rapid strides in affording citizens access to digital resources and facilities. He highlighted the administration is committed to ensuring schools, hospitals, courtrooms, and other state and government institutions located countrywide can digitise many of the services they provide. The president also stated it is the policy of the administration to ensure all Maldivian citizens have equal access to not only basic needs but also to high-quality infrastructure and resources intended to better the quality of life, with internet connectivity being a high priority. Moreover, President Solih noted despite the myriad logistical challenges to ensuring such services within the context of the dispersed archipelago, Dhiraagu has been able to rise to the occasion; and that similarly, the administration will do its utmost to ensure that all Maldivian citizens located countrywide have access to modern conveniences and facilities.